TNPSC - Tamil Nadu Public Service Commission has conducted TNPSC Group 1 Combined Civil Services Exam 2015 on 8th Nov 2015 under the new TNPSC Group 1 Syllabus 2015. The number of TNPSC Group 1 Posts as per the notification is 74. Nearly 2.14 Lakhs of candidates have applied for the TNPSC Group 1 Preliminary Examinations. The TNPSC Group 1 Exam Analysis will be provided soon below. 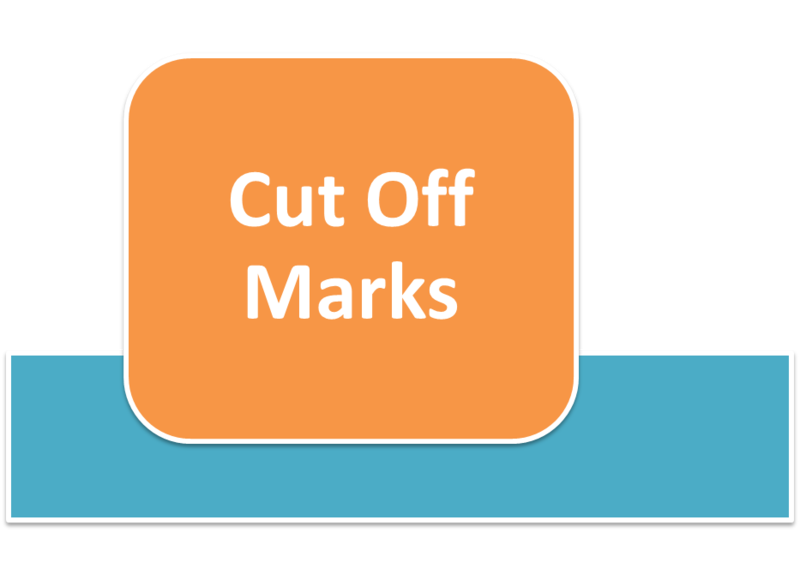 The official cut off marks for the previous year TNPSC Group 1 2014 Preliminary Exam is not yet published. Based on news gathered from the candidates those who are admitted to the written exam, the minimum cut off mark (the number of questions correct out of 200) required to clear preliminary exam is around 121(+/-) marks. You can Download the Answer key for the TNPSC Group 1 Civil Services Preliminary 2015 here for the exam to be conducted on 8th November 2015 after the exam. The TNPSC Official answer key for the TNPSC Group 1 exam will also be updated. TNPSC Group 1 Prelims 2016 Result published Check soon. 4033 candidates have been selected for the Mains Examination. TNPSC Group 1 2015 Prelims result to be announced Soon. 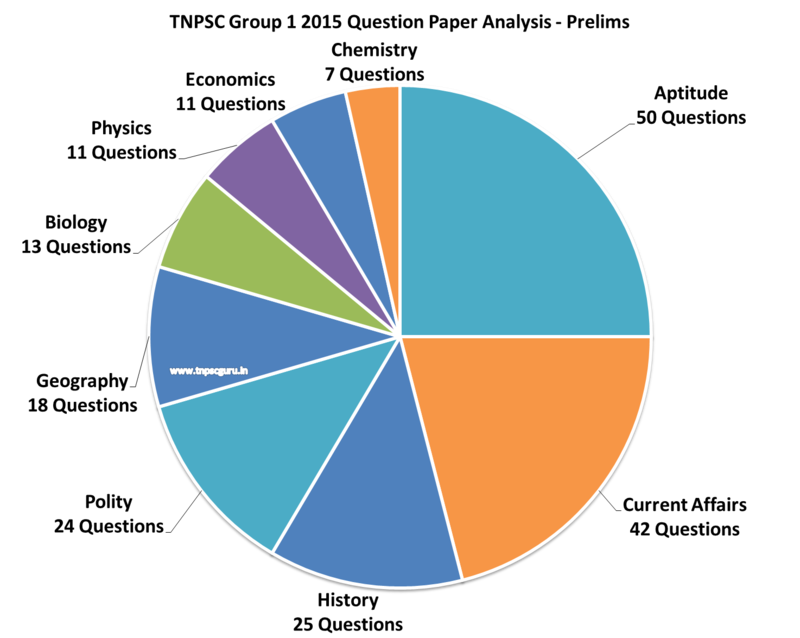 *It is based on around 100 Votes. we know that a mere 100 votes is not enough for predicting the cut off marks for an exam in which 2.10 lakhs candidates participated. So, it will be updated after get some more votes in the poll. 8th November 2015 - FN 10.00 A.M. to 01.00 P.M.
TNPSC Group 1 2015 Question paper Analysis. After the publication of the results please follow these simple instructions to check your TNPSC Group 1 Preliminary exam result 2015. Hai bro , i cracked 121 ques today !! Is there a chance ?? What will be the cutoff this year ?? Sir I'm from BC community and I've answered 132 questions right. Will I qualify for the mains? I have scored 110/200.any chance for mains. I have scored 125/200. I am BC Male. Please share the chances for me. Atleast say when can we get the approximate cut off in this site. Not able to sleep full of cutoff mark tension. Please help me sir. Sc male pstm i am 130/200 any chance. 123 -taxation of doab(1328) occurs after changing the capital(1327). Option A for Q 123. And also in the energy consuming question 168 household comes after industry.Option C Note: Right Answer has been tick marked in the respective choices for each question. Representations if any shall be sent so as to reach the Commission's Office within 7 days. Representations received after 18th November 2015 will receive no attention. please tel How to send Representations to TNPSC through letter or email? Also should we attach proofs for the correct key? She actually arrived in calcutta only.one one author sayin about chennai.that too not mentioned in wikipedia. 127 MBC . As per official key . Chances ?? As per key i got 112 BC female.Chances r there to write ?? i am female .. belongs to SC community .. i have git 111/200 sir as oer tnpsc key .. is there any chance to clear this exam ? SC female engg graduate - cut off 113 as per TNPSC key, any chance to clear prelims?? SC female cut off will was as less as 108-110 last time, I has cleared last time prelims answering 108 correct. All the best for mains exams. Bc PSTM cutoff male unda illa Bc gen than pakkanuma. Hi bro! i got 110/200. Belongs to ST Category. Is there any chance under ST category to go for mains? One of friend said there is no reservation for ST this year. They may go under OC category. Sir I am BC male and 120 questions correct. Will there be any chance of winning ? Sir I had cleared 81 questions ... There is any chance to get clear prelims ... I am belong to BC male. super 81 qs potrukinga.. nan verum 8 qs than correct..
Any updates on the expected cut off or date of result? any updates on group 1 prelims results ?????????????????????????????????????????? Any updates on group 1 prelims results ?? When will tnpsc announce group1 prelims result??? Please....,can u tell me, y tnpsc not published selected candidates mark? you would have just taken a print out right.. try to find that email.. it should get you the register no..
You can find your Register number in your Question paper. Find in your Question paper bro...! Simple..! Sure..! I'm preparing for Civil service exams for past 1 year. Last time unfortunately I didn't clear, but this time I will clear for sure! I think around 110-115 out off 200 questions..! your aim must be completing the paper. In paper 2 , attend comprehension and precis writing at the last. there is no model or perfect writing in this exam..u have limited space, write relevant content, complete the paper.completion must be your aim.not perfection. PS: i have written grp 1 mains last time, couldnt complete paper hav to leave 50 marks in each paper. hi, i too have written group 1 mains last time do you know when will the result be published? Even TNPSC members don't know.. When will the group 1 mains result written on 5,6,7June 2015 be published?. As per annual planner it was to come in February. Please expedite the process for releasing results. After completion of entire selection process, the results of the main written examination for the posts included in the Combined Civil Services (Gr-I Services) held on 5.6.15, 6.6.15 & 7.6.15, will be hosted in the Commission's website. Could u find any meaning in the reply..I didn't. What they mean by completing entire selection process? hi, thanks for the info. I have send them an email and will share the reply in here when i get one and Do you have any idea about how much the cut off might be? No i don't have any idea about the cut-off. what are the documents we need to send to tnpsc office for grp 1mains 2016..? Do we need to upload those documents in website..? I have received msg from tnpsc to send documents to tnpsc office for mains.. but notice is not put up by tnpsc in their website.. any info regarding that... anyone..? lee sir...?